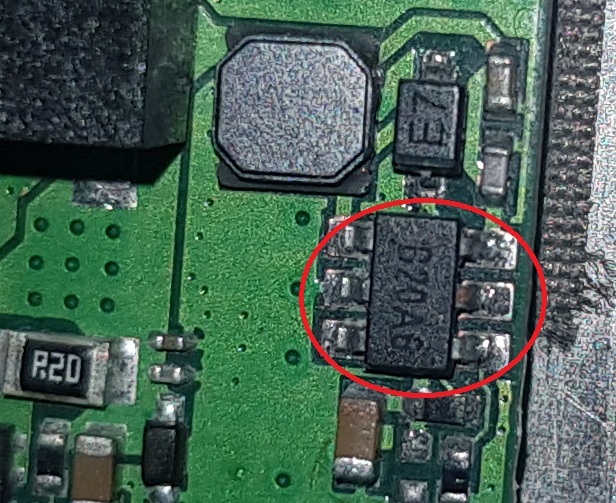 Hello there , i m new here and thanks for this forum , i will need a little help with a little smd part that have writhed on E7 , i belive is a diode , that control the power light led on a phone . i will atach some pics . maybe someone from here will tell me what part it is . 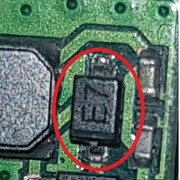 i belive this part is broken because the phone was put in the water and on this part was water . the voltage is on but on the oather pin where going to led light display is 0 V .